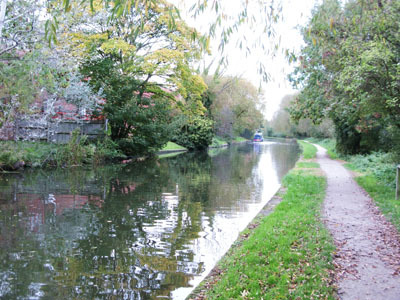 This section of the Erewash Canal runs from the road bridge in Sandiacre Town to Station Road Bridge,Ilkeston, a distance of around 4.2 miles. At the Sandiacre end the area is quite urban with houses and factory buildings on the opposite bank, however, this does not detract from the good fishing on offer with Roach, Bream , Chub and Perch being present all year round. Further up the Canal the offside opens up into pleasant countryside before reaching Pasture Lock, The area below the lock is known locally as ‘Sandy Bottoms’ and is highly regarded for Skimmers. From Pasture Lock the canal then heads towards Stanton Gate before going under the Motorway and Railway and on to Stanton Lock. Access is available around Sandiacre Bridge, Mill Lane, Sandiacre, Stanton Gate Bridge, Stanton Hotwaters, Greens, Gallows Bridge and Station Road, Ilkeston. From Stanton Gate it is 1/3 mile to Stanton Lock and in the opposite direction 350 Yards to Pasture Lock. Day Tickets are available. No Night Fishing. No Closed Season, Open all year. From the A6002 Coventry Lane continue past Bramcote Crematorium down to the mini roundabout and turn right and continue straight on along Ilkeston Road for ½ mile to a mini roundabout and turn left into Pasture Road, travel 200 Yards along Pasture Road and turn right into Moorbridge Lane. Continue for 750 Yards and over the Railway Bridge, just over the railway the Canal passes under the road. This is Stanton Gate Bridge, there is a small parking area on the right. To get to Sandiacre continue along this road to a T Junction and turn left into Ilkeston Road and continue for ¾ mile along this road into Town Street, Mill Lane is on the left. Continue along Town Street for another ¼ mile for Sandiacre Bridge. Turn left over the Bridge and left again for on street parking.